Nanogen has made its name thanks mostly to its impressive world-leading keratin hair fibre products, not to mention a stellar range of shampoos and conditioners. The brand is now known the world over for its hair fibres. First founded back in 2001, the company remains loyal to its roots with products made right here in the UK. The reach of their hair fibres is a much more global affair though, and Nanogen's ever-increasing base of loyal customers believe their fibres to be the best around. Available in a range of colour shades, the cutting-edge keratin hair fibres help users to achieve coverage that blends with their own hair in areas where they most need it. From thickening a thinning crown to covering a visible scalp, the Nanogen hair fibres have given people a new-found confidence in their hair. The hair fibres are gender neutral and are free of paraben and SLS/SLES. In total, there are 10 different shades available to choose from, most of which also come in two sizes, so there is a Nanogen hair fibre product to suit almost anyone's needs whether you want to try it out or you are tried and trusted user. 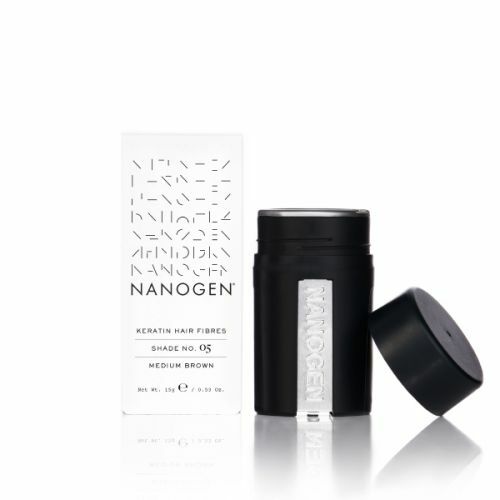 In addition to their market-leading hair fibres, Nanogen also produce several other popular hair products for men. Their shampoos are particularly well thought of, and the range continues to develop. The Nanogen 5-in-1 shampoo conditioner for men is a product that a lot of thought, research and development has been poured in to. It takes a multi-targetted approach to the thickening of your hair but without any of the side effects that often come with high street equivalents. This means that itchy scalps, oily hair and even the thinning which is occasionally seen with other brands has all been taken care of. Instead, your hair is thoroughly nourished, your scalp hydrated, and your hair thickened while maintaining and boosting its general condition. It has an exfoliating quality which helps prevent a build-up of skin leading to dandruff, while it uses pea sprout extract to promote the production of hair cells. Many customers also comment on how little shampoo is needed in each application to produce a strong lather. 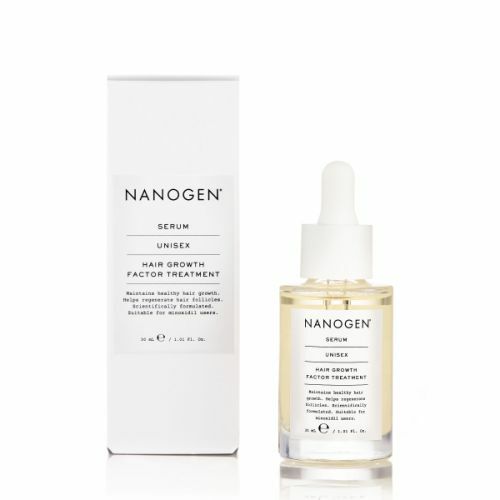 If you're suffering with dull and lifeless hair, then another product in the Nanogen range may well catch your eye. The root boost hair thickening spray can be used by both men and women and contains keratin to help give an instant hair thickening boost. Green tea extracts help to prevent damage to the hair and its B5 vitamin encourages the growth of healthy hair. 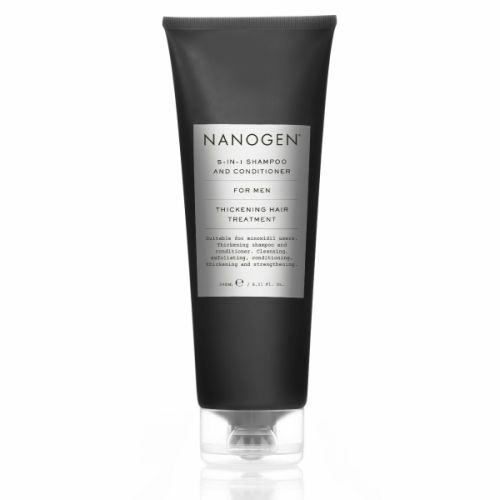 Finally, Nanogen hair thickening shampoo for men is a great way to start the day if you wish to remove product build-up from your hair, nourish the scalp and give the appearance of thicker hair. This product also eases skin irritation which can be brought on by using other hair products or through pre-existing conditions. Nanogen products are packaged in a distinctive monochrome style which oozes class and modern sophistication. To view the range, scroll down the page.